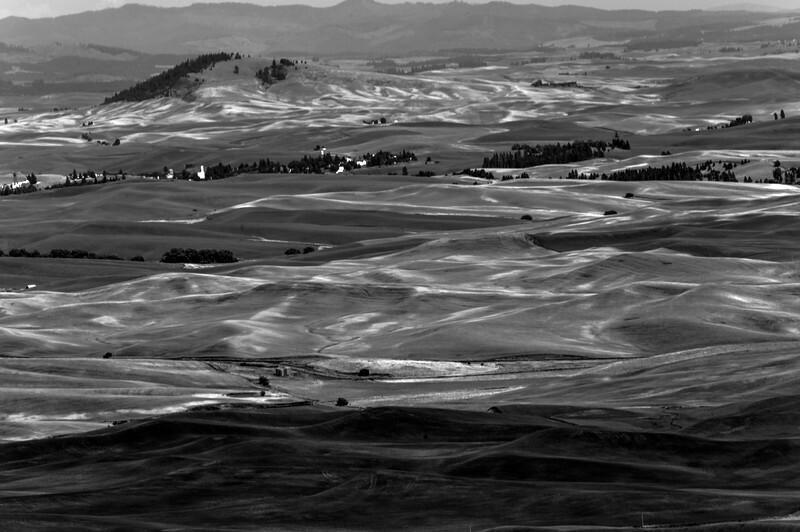 The Palouse (/pəˈluːs/ pə-LOOSS) which is a region of the northwestern United States, encompassing parts of southeastern Washington, north central Idaho and, by some definitions, parts of northeast Oregon. It is a major agricultural area, primarily producing wheat and legumes. In fact more wheat is produced here than anywhere in the world, without irrigation. 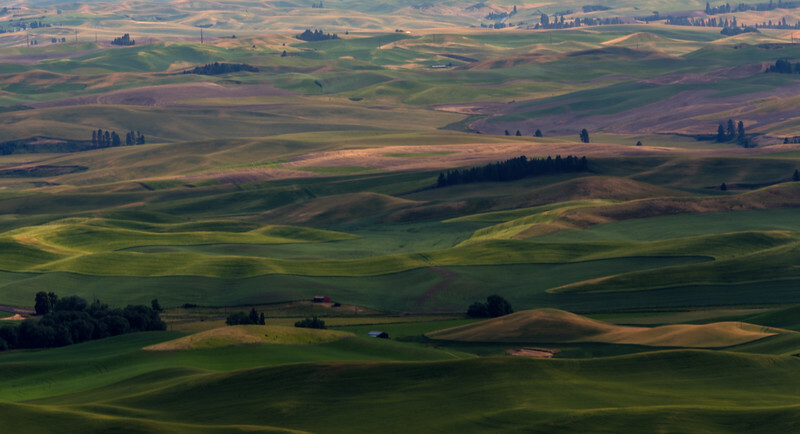 Steptoe Butte is the best place to view The Palouse and it is a quartzite island jutting out of the silty loess of the Palouse hills in Whitman County, Washington. 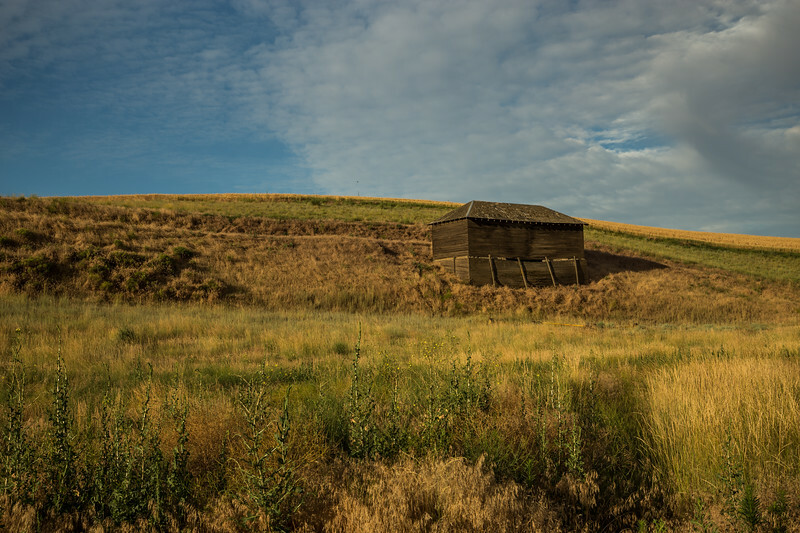 The 3,612-foot (1,101 m) butte is preserved as Steptoe Butte State Park, a publicly owned 150-acre (61 ha) recreation area located 12 miles (19 km) east of Colfax. The rock that forms the butte is over 400 million years old, in contrast with the 15–7 million year old Columbia River Basalts that underlie the rest of the Palouse. 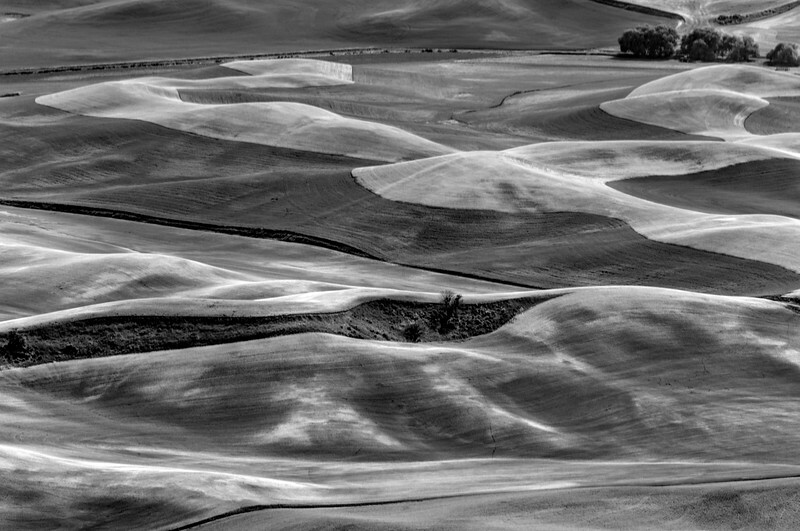 Steptoe Butte has become an archetype, as isolated protrusions of bedrock, such as summits of hills or mountains, in lava flows have come to be called "steptoes. The butte was named after Colonel Edward Steptoe. A hotel built by James S. "Cashup" Davis stood atop the butte from 1888 to 1908, burning down several years after it closed. In 1946, Virgil McCroskey donated 120 acres (49 ha) of land to form the park, which was later increased to over 150 acres.